The very 1st volume in our series of futurecasts from selectors around the world. Selected and mixed by Swiss producer and DJ Alessandro Crimi, who’s released a series of deep cuts through the years on labels such as Italic, Broque, and Polytone Music. Originally released on 8th October, 2009. Artwork is borrowed from a litograph by Swiss artist and designer Max Bill. At home, after waking up when I had a free day. I mixed it with both vinyl and cd. CF: is there a concept behind the mix? is it a collection of tracks you’re diggin’ at the moment or is there more to it? I wanted to do a Dub Techno Mix because I was in the mood for that kind of music. And I love it so much. For me it’s just timeless music. I also used a lot of old tracks. CF: the music on the mix has a very timeless feel to it; is that your current mood? It’s not just my current mood. I’ve been in love with Dub Techno for a lot of years. You can always find some dubby passages in my DJ set. I listen to lots of Hip Hop, Trip Hop, Downbeat, Easy Listening, Ambient and that kind of stuff. 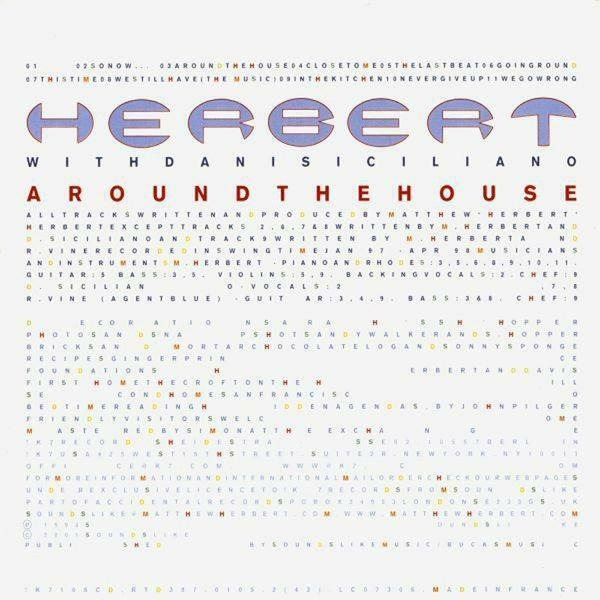 Herbert with Dani Siciliano – Around the House from 1998. Aril Brikha’s Deeparture in Time from 2000. Claro Intelecto’s Neurofibro from 2004. CF: what can we expect from alessandro crimi in 2010?